A digital summer | One year, one job. This summer was all about the Olympics and the Paralympics, right? But it’d be foolish to ignore the advertising and marketing opportunities that both events offered to companies: big and small. With all the different bands of sponsorship for both events (in all honesty, could spectators really tell the difference between an Olympic partner and an Olympic supporter?) it seemed that lots of the multinationals were vying to cash in on the sporting prowess. Since the events ended, I’ve been busy reading various evaluations of who took the digital gold. Digital Strategy Marketing gave the honour to Nike – a non-sponsor – for the amount of social buzz they generated. Similarly, their stats show Mars generated more interaction than official sponsor Cadbury’s. 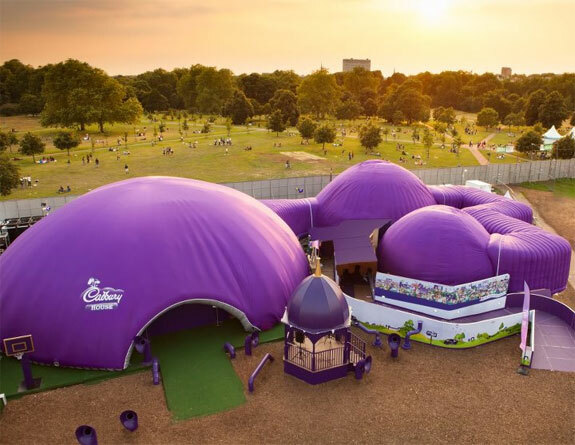 Cadbury’s threw themselves into the events on Twitter – changing their official account name to Cadbury Paralympics during the event. They ran regular RT competitions for every gold medal won and the Cadbury House events around the country (I attended two) used both innovative swipe card technology and the lure of free chocolate (I definitely was drawn in by the latter) to get their name spread on social media. Not following Mars brands on social media – nor seeing any mention of them in my Twitter feed – it came as a surprise to me that their reach had been so much greater. This short piece on Econsultancy sums it up well with a simple graph. Innocent, on the other hand, didn’t use competitions or free products to create the buzz. They created simple branded graphics celebrating each medal success. These seemed to be clogging up my Facebook feed all summer and I always read them – in fact, it was one of the ways I discovered many of our sporting wins. Maybe I should’ve been doing a proper evaluation of the sponsors in July and August, but there are so many of them online that are so detailed my comments would be void. As a consumer, I didn’t care about how other brands were doing if they didn’t get their message to me. Cadbury’s and Innocent were the two brands that got their messages (and branding) across to me the best. They might not have had the best statistics, but they’ve kept me as a customer. What brands did you find hard to ignore this summer?